When the “now” of your life becomes “then,” you realize that what happened to you personally is always embedded in a larger history. A new novel for eight to twelve year olds makes this point beautifully. 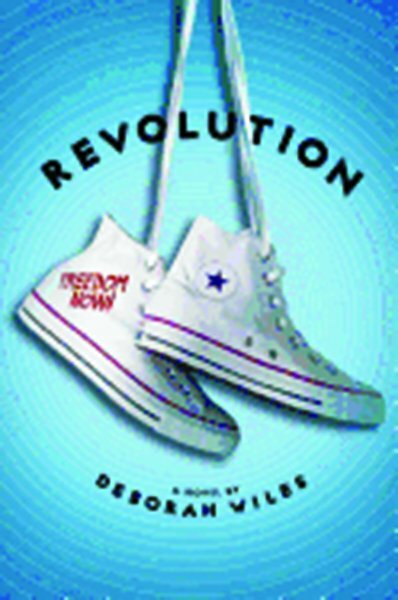 As you flip through the pages of Deborah Wiles’ Revolution, you’ll find newspaper headlines from 1964 along with Beatles’ lyrics, photos of Lyndon B. Johnson, some threatening Ku Klux Klan leaflets, and much more. There are instructions from the Student Nonviolent Coordinating Committee (SNCC) on how civil rights volunteers should react if arrested for helping black Mississippians register to vote. There are photos of children in Freedom Schools. There’s even a list of nonfiction sources for further reading. But this book goes beyond an accounting of Freedom Summer, the eight-week campaign in 1964 to register as many African-American voters as possible in Mississippi. Both Sunny and Raymond are growing up in everyday families with parents who are worried about putting food on the table and raising their kids as best they can. As Freedom Summer heats up, both families’ livelihoods are affected by picketing, arrests, threats and worse. The children, initially wrapped up in their own lives, struggle to understand the changes in Greenwood, the atmosphere of fear, and the need for courage to face the all-too-real threats that these weeks bring. Young readers will quickly find themselves drawn into Sunny and Raymond’s stories. Events that happened long ago, something we refer to as history, come to life when they involve someone your own age—someone who is, after all, pretty much like you. There are few better weeks to introduce this particular history than right now, the fiftieth anniversary of Freedom Summer.